Look. New Balance is your “father’s running shoe” because your father wasn’t wrong about everything, OK? Sometimes your dad picked out comfortable shoes. Because that’s what this shoe is. Super, super comfortable. Yeah, so it doesn’t have an air pump, and it’s heels don’t light up as I run through the mall, but maybe I don’t need any of those things because I’m not seven years old, OK? 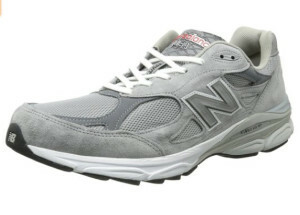 I’m my father’s age when he decided on this shoe.